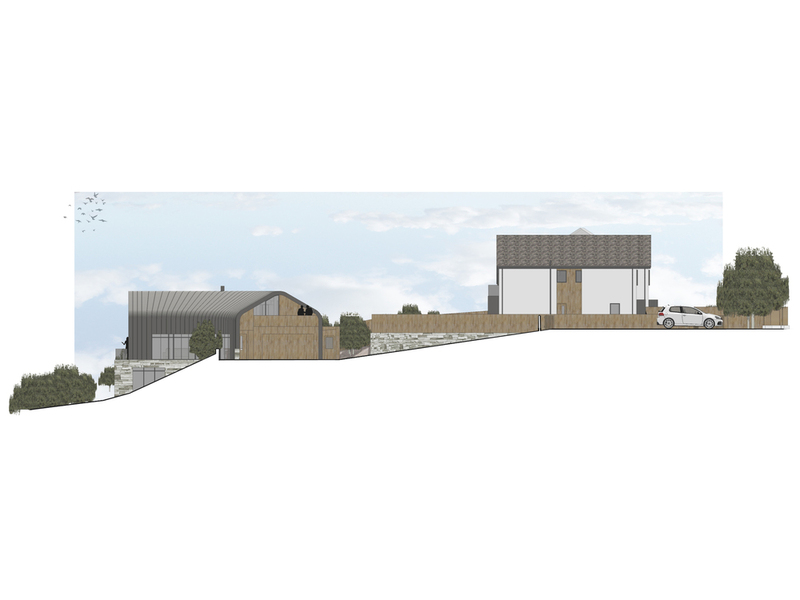 Designed to replace an existing 1920’s house, planning permission has been gained for three new contemporary sustainable homes on a steeply sloping site in Whitby. 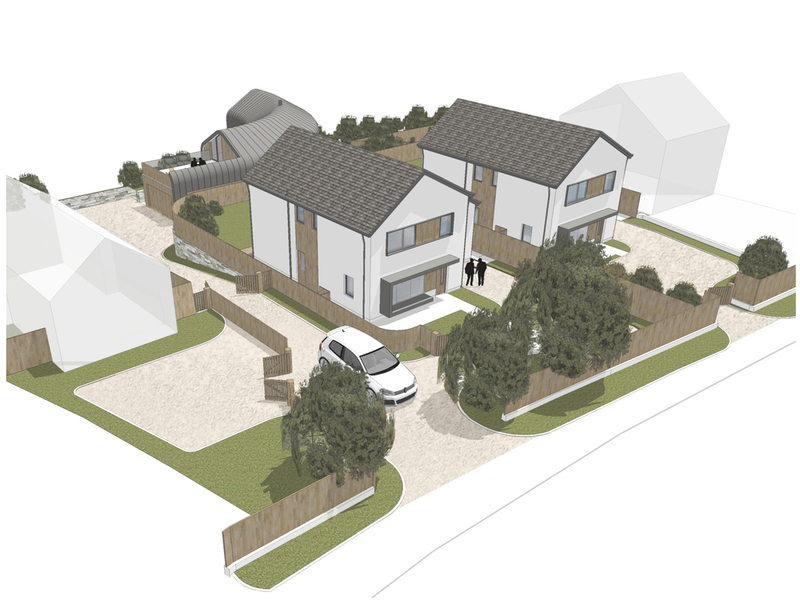 The two more traditional houses face the street and will provide accommodation and funding for the owners during the construction of the third curved home which sits down in the landscape. This minimises its impact on approach whilst at the same time capitalising on magnificent views across the countryside. Each dwelling will be super insulated with electricity being generated on site using photovoltaic panels.